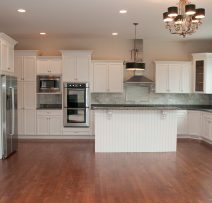 Chattanooga Cabinets was built on making high quality cabinetry for every room in your home. 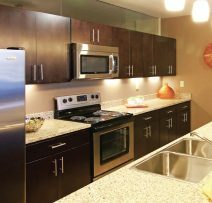 Our cabinets are manufactured using only the finest grade materials with highly experienced craftsmen. With numerous door styles and wood species to choose from along with thousands of finishing combinations, we’re sure to have exactly the color and style that fits your style. Plus our experience designer staff will guide you to get the exact design that is right for your home and lifestyle. This is the time when your dream begins to take shape, and are no limits on your ideas. If you’ve seen it, we can build it for you; if you haven’t, we will work with you to bring your vision to life. 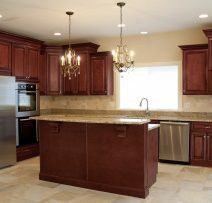 During your initial consultation we suggest bringing in pictures of the cabinet styles you like to help us see your vision the way you imagine it. You might have some ideas about what you want your project to look like, but no exact creation in mind, No Problem a visit to our showroom might help you get inspired. We have catalogs of designs, hardware, numerous stain and paint colors, to choose from. The next part of the design process is measuring. 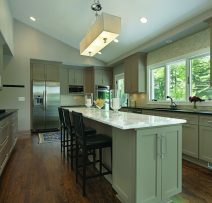 one of our K&B designer’s will visit your home whether it is a remodel or new construction. We will take precise measurements, meet with the homeowner, general contractor, designer, and any subcontractors to assure a cohesive relationship that will help your project progress smoothly. We create each cabinet, to hold what you want, where you want it. 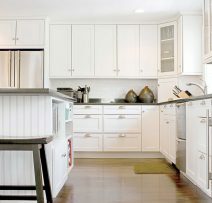 And because we try to customize your cabinetry, there are no wasted spaces. 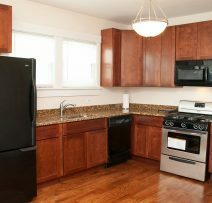 Upon arrival to the job site, the cabinets are staged in their respective rooms. Our installers then begin the installation of the cabinets. After the cabinet cases are in place, they begin to apply all moldings and install all specialty hardware. Finally, the doors and hardware are installed and your vision is now reality. We also collaborate with electricians, plumbers and any other necessary subcontractors to make the installation process as smooth as possible. 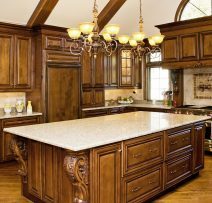 Chattanooga Cabinets has been refinishing, refacing and replacing kitchen and bath cabinets since 2009. 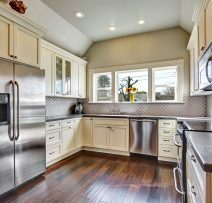 Although we are a young company, our staff of professionals/craftsmen have decades of experience and are exceptionally qualified in the area of Kitchen and Bath refinishing. We continually refine our use of materials and manufacturing processes to meet or exceed our customer’s expectations. Our focus continues to be on exceptional Quality and Service. “Design is more than just a few tricks to the eye. “Design is not just what it looks like or feels like.